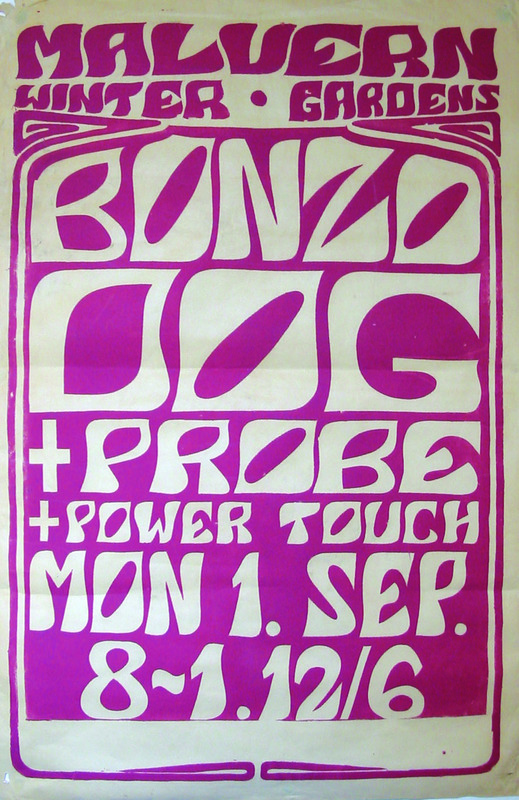 I wonder if anyone remembers the band The Probe who played around the area and beyond from 1967 to about 1972. I was the guitarist with the band and remember some great gigs at The Plaza Old Hill / Handsworth, The Factory, Swan at Yardley, George Hotel Walsall, Birmingham Top Rank (now the Academy) Woverhampton Queens Ballroom, Dudley zoo Queen Mary Ballroom where on one of our many gigs Robert Plant wanted to sing with us but our singer said no!! plus loads of local gigs in the vacinity.We were all from the Halesowen, Blackheath, Old Hill and Dudley area. Over time we went from playing Soul to Progressive which gave us appearances as support for Family, Jethro Tull, Geno Washington, Amen Corner, Bonzo Dog Band, Fleetwood Mack, Marmalade plus loads more big names….we were pretty busy 2 gigs a night a couple of times thanks to the Plazas revolving stage…we set up on the back while the pevious band played on the front…then turned round playing….a bit scary looking back! Our old valve Vox and Marshall amps took a beating but never or rarely went wrong. The most weird were the gigs in London at the height of the psychedelic 60’s…one underground club under a church ( i think it was famous)and we were invited to play at a party later that night complete with liquid lights and full weirdness.Our bass guitarist reckons we played at the Marquee but I don’t remember that!! or supporting The Moody Blues at Stourbridge Town Hall, but hey ho I’m getting old! We won a record contract via a Radio Luxembourg band contest in around 68/69 and had to meet the infamous Jimmy Saville at Belle Vue in Manchester for a meal and later played at the equally infamous Top 10 club for his charity work!! He was a strange and scary man. We recorded an album at De Layne Lee Studios in London, which was The Place in the day….Jimi Hendrix, Fleetwood Mack, Stones tapes lying about in there on the side…the old 8 track metal tape reel cans….My big regret is I didn’t take photos…I never thought it might be interesting for the future. Apparently Jimi recorded Hey Joe and the Are you Experienced album in there…it was tiny and below offices in Soho but has now been redeveloped and is out of town. Look it up as is very interesting. For some unknown reason based on the contract, we never released it and despite best efforts, couldn’t even buy it off them to use. The producer was looking after Black Widdow at the time…somebody Meeham Junior….bit of a 60’s type complete with e-type and lotus cortina. I didn’t take a shine to him much. Any way…hope it stirs some memories!! We would love to learn more about Probe regarding any recordings made and run a feature on the band if you were willing? Hope you get in touch! We cut a “10 inch LP” at Hollick & Taylor, Perry Barr. I believe that Chris Norton still has a few pressings. We played twice, maybe three times that night before recording in the early hours. One was Old Hill Plaza (which often meant Handsworth Plaza also) and a night club in Brum. In March 2006 we got back together for a “one night only” at Regis Hall, Old Hill. I wish it was 1966 again. 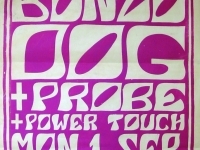 We are trying to get in touch with Chris Wilmot of The Probe. Can anyone help? Hi Chris. I’ve just seen your post about Probe. I believe that I replaced Ray as bass player about 1970. I’ve been looking for info on the band for a few years now and I’ve only just come across this tonight. I remember having some great gigs with you guys and especially Paul telling Robert Plant that we didn’t want him to jam with us. I don’t have any recordings of the band so if you can forward them to me please I would appreciate it. I hope you are well and it would be great to be in touch again after all these years. Steve. You may well have replaced me around 1970. The Probe got into “underground” which peed me off so I quit. I’d have been around 22 then with a future wife in hand (divorced in ~82). I really miss the lads, and the time, and Jack Norton, what a guy. I now realise (at 70) that i’ve completely wasted a life. So to any readers, take what you can, when you can, life is transient, go for it. Hi I do still have recordings of the Probe. Happy days and memories of my great mates. 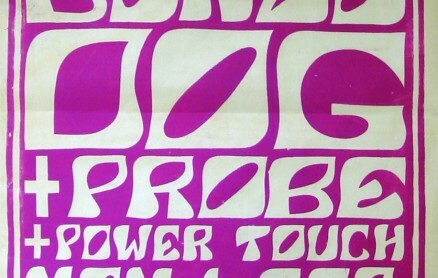 I have a one sided 45 by The Probe – ‘knock on woo’ white label, WJN 1.
what were the tracks on the Hollick & Taylor LP? was it an acetate or a vinyl pressing? .. and I would love to hear some of the recordings!! Hi I still do have recordings of the Probe.